If you are looking to start vaping, then you may have many questions about where to start. We often hear similar questions such as; Which flavour should I take? What level of nicotine should I buy? All of which are completely normal questions when beginning to vape. It is not just about getting the best e cig UK brand out there. We will aim to provide you with as many answers as possible in our beginners guide to buying your first E Liquid. We also have a full review of the best e liquid UK brands including the best VG e liquid. Taste is subjective and therefore each individual should take all comments bearing in mind their own taste considerations. When choosing flavouring consider which flavours do you enjoy eating or drinking? What are your favourite milkshakes for example? There is a good chance these preferences will overlap with your (eventual) favourite E liquid. However to start out vaping tobacco flavour liquid will help. Many first time vapours are attempting to stop smoking cigarettes. It therefore makes sense that these individuals try the tobacco flavoured E liquid to help ease the transition from cigarettes to vaping. Tobacco flavours tend to taste more like raw leaf tobacco, similar to how cigarettes and cigars smell rather than burning tobacco. This is something which could affect your choice of E liquid, it’s at this point we would consider trial and error. By trying a few different flavours, you will have the best possible opportunity to find the right flavour for you. In time this will help you to preserver with vaping and will stop you from returning to cigarettes. Menthol smokers should consider a minty flavour, again easing the transition from smoker to vapour. By choosing a menthol flavour you will also bridge the gap between smoking and the wider range of uniquely flavoured E liquids. Going from mint to strawberry for example is a lot more natural than tobacco to strawberry. For future vapers who are interested in the wide-range of tasty and colourful E liquids that vaping can provide, or for those interested in e shisha, then we recommend that they stick to the classics first. Such flavours include strawberry, apple and banana. These are all flavourings that are tried and tested which most vapours enjoy. These are flavours which are also common with shisha smoking, due to the fact that they work for most people. If you are just beginning your vaping journey and would like a fruity experience, then this is a good start. However as discussed before, flavours and tastes are totally unique to each person, so feel free to experiment and explore! Some of the better e liquid manufacturers offer a multi-pack of sampler e liquids that contain a range of flavours for you to test, this is always a good choice as it can save significant time. Once you know what tobacco flavour e liquid you like, getting the nicotine strength right is relatively straight forward. Which strength of nicotine to take is usually recommended based upon your current smoking habit. The highest concentration of nicotine available is 20 mg. This is usually recommended for smokers who are classed as heavier smokers, more a pack a day. 18 mg of Nicotine is recommended for your average to heavy smoker, around about one pack of cigarettes a day. 12 mg is the level most former smokers enjoy as it represents a middle ground. 6 mg is recommended for light smokers. 3 mg is the lowest level of nicotine available and its perfect for casual vapours or casual smokers who enjoy a smoke every now and then. However if using a sub ohm device than you should only consider 3 mg and 6 mg because of the amount of vapour produced by these vape devices. Finally, the last measurement we recommend is nicotine free E liquid which provides the oral satisfaction for ex-smokers without the nicotine hit. 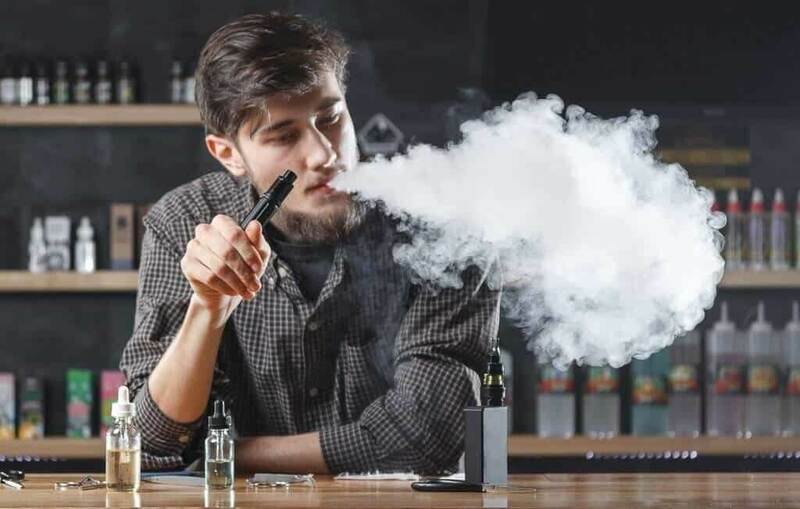 Getting the right nicotine strength will depend on your choice of vape pen, more powerful vape pen devices give more vapour so each puff will contain more nicotine than a less powerful device. This can be compensated for by the various e liquid strengths, a higher strength nicotine for a less powerful e cigarette and vice versa. Again, if you are using a box mod and sub ohm vaping is your thing then you need to reduce nicotine strength to perhaps 3 mg or 6 mg nicotine strength to compensate for the amount of vapour being inhaled. It is important to remember that these are simply guidelines based on our many years of experience and that every vape liquid will be slightly different depending on the vape pen you use. However, should you be hesitant about which strengths or flavours to begin with, then take our advice and experiment until you find the right E liquid for your own tastes. We have a summary of best tobacco flavoured e liquid and then go even further to try and match many popular brands of cigarette with a particular e liquid.